Why would you move back after a landslide? It is a mountainous place with volcanic soils that are rich for agriculture, but it is also densely populated, which puts a lot of pressure on arable land, reports the BBC's Patience Atuhaire in the capital, Kampala. 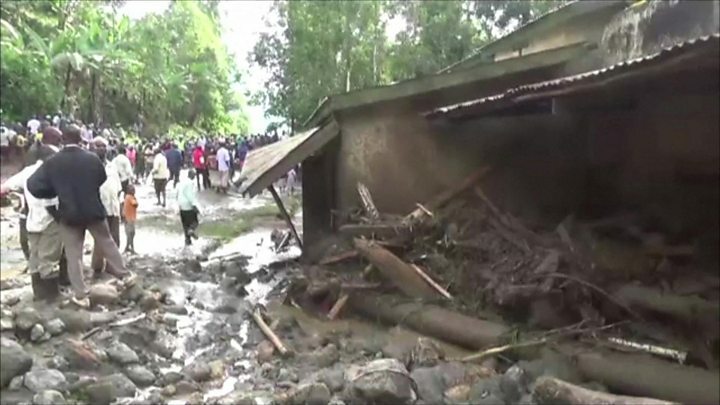 "When the water flowed down it brought a number of big stones with it that destroyed people's houses," Red Cross spokeswoman Irene Nakasiita told AFP news agency. The prime minister's office has sent a team to assist with the search and recovery efforts, which were set to continue on Friday in the difficult hilly terrain. Video Uganda mudslides: Why do villagers move back?